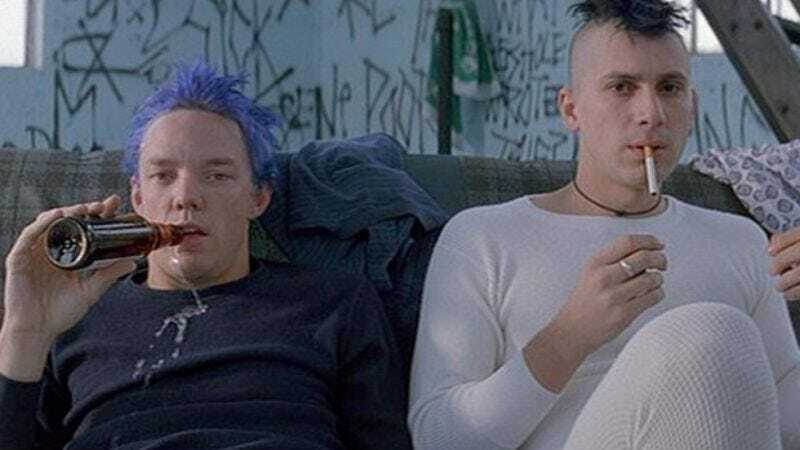 Tentative plans appear to be in the works for a sequel to SLC Punk!, the 1998 film that so sharply skewers the “tribe” archetypes that permeate the music scene, and then there’s another 90 minutes of movie. Despite telling a complete story about a self-avowed punk working so feverishly to avoid becoming a sell-out “poser” like his dad—only to wind up a sell-out poser like his dad, because that’s how stories work—writer-director James Merendino thinks there’s even more irony to be mined from Matthew Lillard’s Stevo, now that he's a middle-aged man forced by society to wear normal pants. IFC reports (and Merendino and Lillard confirm) the two are discussing shooting a follow-up this summer titled Punk’s Dead that would pick up 18 years later, reuniting the original characters who survived the crushing poverty and untimely death that comes with liking punk-rock music. For what it's worth, that lines up with last year’s launch of the film's Twitter and Facebook pages (the sloppy, wheat-pasted flyers of the movie marketing world) that are only now getting some attention—unfortunately for them, on a day when news of an SLC Punk sequel is being greeted with even more skepticism than usual. But really, what’s more punk rock in 2013 than cashing in with a reunion tour?